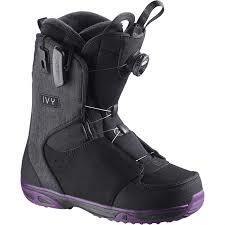 This boot offers the ultimate in heel hold. Its STR8JKT feature allows you to tighten up your heel at the pull of a cord without even undoing the outer of the boot. The Boa® outer lacing system is quick and easy to do up, and the boots have a medium flex, allowing you to rip around the mountain and ride anything, from powder to freestyle.